Okay, here’s a giveaway you don’t have to make or sew….you just have to pick it out! Time for The Vintage Pearl. You’ve heard me talk about their pretty jewelry before, and I’m still in love with it. I wear my “Lucy, Owen, Clara” necklace every day (well, I did until Clara started tugging at my neck. But that will change in a few months….or a year). I’ve also purchased a bracelet for my mother-in-law and a little heart necklace for Lucy’s birthday. Their stuff is simple and just plain sweet. Lots of love for these munchkins. Okay, today we’re giving away TWO $50 gift certificates to the Vintage Pearl shop. • Giveaway ends, Thursday 11/15/12 at 10pm (Central Time). Thanks dana, very nice necklace!!! They have the prettiest stuff; I would have a hard time choosing. I would love, love, love this. I have been eying something from them for a very long time… Thanks for the giveaways! I LOVE personalized jewelry. Thanks for the chance to win. I have a vintage pearl necklace and I wear it EVERY day. I would love to be able to get a new one or give one as a gift! I love their necklaces!! Thanks for the giveaway! I would love this… Perfect for my mom who is impossible to Christmas shop for! Those necklaces are just beautiful, simple and classy. Would love to win to put my children’s names on it! Thanks for the opportunity! With our third (and final) baby on the way, this would be perfect! I would love to win such a sweet necklace! I would love to have one with the name of the men in my heart. This is so beautiful! I’m sure your necklace is a very treasured reminder for you. I love the heart one Lucy is wearing! Thanks for the giveaway! I love their jewelry too. What beautiful jewelry! I love almost everyone of their pieces. LOVE that website…and yours of course. these ladies are from my town – fabulous stuff! Thanks for the giveaways! And might I mention how much I love you for not making it a bunch of hoops to jump through? I love Vintage Pearl. A lot. Love, love, love the Vintage Pearl. Would love to do a little extra shopping there! Thanks! Love! Would love to win! Such beautiful pieces. It would be hard to choose one! so sweet, my crazy pregnant hormones can’t take it!! I have been wanting to get one of these necklaces for years. They are just beautiful! This is already on my christmas wish list! I really hope I win!!!! This is so fabulous!!!!!!!! I love that they now have a few items in gold – I would love the chance to win something! Would love to add a Vintage Pearl gift under our tree this year! I have always wanted something from there. Keeping my fingers crossed!!! I’ve been wanting to one of these for a while, but my husband is terrible at hint-taking. It’s probably time to buy it for myself! I so love the vintage pearl–hope that random generator picks me! This is the kind of jewelry I could get into! everytime you put this up i want to go get one! Those necklaces are so pretty. I would love one. Love Love Love vintage pearl. What an awesome gift! I need a charm for my new little bundle! Beautiful, I would love one of those necklaces! maybe this is my lucky day! This is really sweet. I would love to give one to my daughter for Christmas. Thank you! Oh how I covet everything in that store! Fingers crossed! 66) Heather @ What Does She Do All Day? Ahh!!! I was just looking at their site this morning and pinned the necklace I want!!! I would love to have one for myself but I would get my mom something since she deserves it!! Whether or not I win, I’ve got to get me something from Vintage pearl. Too many cute things! I love them all! I am such a fan of The Vintage Pearl. Would love to win! Thanks! Love the stuff they do at the Vintage Pearl!! I love you blog and I’ve been eying a vintage pearl necklace for a while now! I would love to win this…I love love LOVE their jewelry! So beautiful and so simple. I hope all my four babies fit on a necklace. They are such a pretty keepsake. I love vintage pearl – they make the most beautiful things. Would love to win!! Oh I love, love, love this jewellery! Thanks Vintage Pearl! Oh please, oh please, pick me! I really LOVE their stuff. I’ve purchased a few things from Vintage Pearl and they’re AWESOME! Beautiful! That would be awesome to have. I love the Vintage Pearl! They have the cutest stuff. Another great giveaway. Pick me! So fun! I love all the options! Oh they have some beautiful jewelry! I’ve already placed my Christmas order with Vintage Pearl, but would love to get a little something for me!! So cute. I’d love to get one of their bracelets. I have been in love with these for a while! Oh, I so want a mommy necklace, as I don’t wear other jewelry much. I also want to find a charm to show the world my mommy autism love, as 2 of my 3 kiddlets are Autistic! I have admired vintage pearl for years! Happy Thanksgiving. I’ve already told my husband Vintage Pearl is on my wishlist. I love the vintage pearl, dying to get a necklace of my own! Yay! What an amazing giveaway! Thank you lots and lots! Those are so cute! I love vintage pearl! The Vintage Pearl has beautiful stuff! I would love to win this one. How sweet for a Christmas gift!!! I bought my three older girls necklaces a few Christmases ago, time for girl #4 to have something. I love the Vintage Pearl! Their website is even beautiful. Those are so beautiful! drooling…. Soooo pretty, love the necklace! Thanks for the wonderful giveaway! Love love love the Vintage Pearl. Been eying stuff on that site for a while now! I keep looking every time there is a giveaway and still love them! Oh, I love these necklaces! Yes Please! I love the Vintage Pearl! Lovely! I keep thinking every time you mention these necklaces how perfect this would be as a Holiday gift for my mom. My daughter would love one. She is about to be a big sister, and it would make a great big sister gift! Cool! I’ve been looking at the stacked rings, would love those. This would make such a treasured gift! Thanks for all the great giveaways! I love The Vintage Pearl! There is always something there that I want. I love the vintage pearl! I have one with my kids names on it, but I have about 10 other things I would love to get! Thanks for the giveaway! Great gift ideas with the festive season fast approaching. I’d LOVE to win. Thanks for the giveaway. Love the Vintage Pearl! Amazing giveaway! Thanks for the opportunity! I love your necklace. Very simple and sweet! Thanks Dana for all this great giveaways! I love vintage pearl. I would love to win. What beautiful jewelry! I love the pearl earrings! Beautiful jewelry! Thanks again for the giveaway! Excited you’ve included the Vintage Pearl again – I enjoy the simple statements their jewelry makes! I adore these neckalces, thanks for the chance to win! I have two of their necklaces. I love them!!! Thanks a bunch!!! I was just thinking today that a customized necklace would make a great gift for my mother-in-law, so this would be perfect. Oh I love the Vintage Pearl! Hope I win!!! The Vintage Pearl makes such beautiful jewelry!!! I LOVE THE VINTAGE PEARL!!!!!! Love The Vintage Pearl. Thanks! Such lovely giveaways!!! I love the rings and the necklaces they make, they are just so simple and beautiful. I absolutely love the Vintage Pearl!!! Thanks dana! I love their jewelry and would love to get a bracelet or necklace to add our newest little one. Thanks a bunch for the giveaway! Gorgeous simple jewelry-I love it! Love love love the vintage pearl! Just last night I was looking at their stuff…. pick me please, then I don’t have to ask for it for X-mas and instead can get more fabric! Lovely! I would love to win and/or buy! I love vintage pearl! its all beautiful! LOVE! I just ordered some Christmas presents from Vintage Pearl but I can always find something else 🙂 Thanks! Vintage pearl stuff is so pretty! Thank you for a simple contest to win great things. Contest or not, your blog is my afternoon pick me up at work! So thanks to you for an almost daily lift! All these prizes are just too fabulous!! I have given gifts from Vintage Pearl but never received one, I will use this for myself? So pretty! Thanks for a fun giveaway! This would be so great to win! Thank you for the opportunity! Oh I LOVE the VP!! This would be an amazing thing to win! I have wanted one for years! I would totally pick out one with my babies names on it. So darling. I’d love to wear my boys’ names around my neck! Ohhhh I want one so badly!!! I would love to give one of these to my mom for Christmas. Wow, I really love these! What a lovely Christmas gift to me this would make, especially with baby number three due December 24th! Yay for fun giveaways! Thank you, Dana! AVintage Pearl necklace with my 3 kiddos’ names is already on my Christmas list! Would love to win one! Oh I would LOVE to win. I have yet to get anything from her, but I just love her work! i have always loved their jewelry. Do you know how many times I’ve thought about ordering from vintage pearl? Would use this in a heartbeat! I have been wanting one of these necklaces!! I have been wanting something from The Vintage Pearl for a long time! Thanks! Beautiful jewelery… will show it to my husband for Christmas gift ideas! I love the Vintage Pearl stuff, I have one of their necklaces on right now. I have had my eye on these for a while now. Thanks for the giveaway! I love the Vintage Pearl! I love Vintage Pearl! Would love to win! Beautiful stuff! So glad for the chance to win! I love the simplicity of this jewelry. I’ve always wanted one of those necklaces! I have always loved these necklaces! I would love one with my little ladies names! I would love one with my kiddos on it! Any of their items would make beautiful Christmas presents! So pretty! Thanks for the great giveaway! I’d so love to win! I love their necklaces. So beautiful!!! I’ve always wanted one of these necklaces! Would be great to win one! Even if I don’t win I’m going to send my hubs a link to the Vintage Pearl – maybe my hints won’t go unnoticed. i have been longing for something beautiful from the vintage pearl for so long! Great giveaway! Thanks Dana! I LOVE everything the Vintage Pearl has. Cute, cute stuff! Would love to win! Happy Thanksgiving! Love these necklaces! Thanks for the details. You had me at ‘The Vintage Pearl’. Ha, I can’t wear jewelry yet with my 15 month old grabbing too, but someday… Cute stuff! They have such wonderful items. Thanks! I would love this! The Vintage Pearl makes the most beautiful necklaces, and I happen to not have one yet – how does that happen!? I have long admired stuff from TVP. I would soooo love to win! Such lovely jewelry, thanks for all the fun giveaways! Wonderful giveaway! I’ve had one of those necklaces on my wish list for a while….but I think I would end up getting one for my mother in law…she would just love one. I hope I win ! This is on my Christmas list ! I have been looking at these since the last time you posted about them, so this would be great! Oh, how I would love to win this. I bought a necklace for my mom from there for mother’s day and it was a big hit! My husband would be happy if I won this! That way he wouldn’t have to figure out what I want! Love the vintage pearl! Would make a perfect gift for my mom! I’ve had my eye on their stuff since you first posted about them. I’d LOVE to win this one!! So sweet! And it would cover my wish list for this Christmas, too! We gave our mom a necklace from here for mother’s day with all the grandkids name on it. Huge fan of Vintage Pearl, would love to win this! I’ve already bought a leather bracelet for my husband and he loved it! I’m currently waiting the arrival of my very own necklace (I can’t wait). But I definately wouldn’t mind choosing something else from this fabulous webshop! I would love to win. Thanks for the giveaway!! Love love love everything from Vintage Pearl. Been drooling over their jewelry for a long time. Would love to have one finally. love the vintage pearl! thanks so much!! Ohh!! Beautiful! Thank you for such an awesome giveaway!!! I love these. I just had a baby so would love to have one with my kids’ names! Oh those are so nice, I covet 🙂 I have my fingers crossed, thanks for the chance! They have some very cute stuff! Thanks! What a great giveaway! Vintage Pearl is amazing! Oh I just love their jewellery. love the V.P. awaiting the arival of my last child anyday now to order my neckalce with my childrens names on it. I love the Vintage Pearl!! Beautiful, beautiful pieces. Thanks for the chance to win! That necklace would make a great Christmas gift for my mother-in-law! Love the Vintage Pearl! Thanks for the chance. I LOVE the Vintage Pearl, and would LOVE to win this! Their things are beautiful! Thanks for the chance to win! Cute jewelry!! Thanks for the oppurtunity! What a nice giveaway! Love your necklace! I would love to win one of these, what a wonderful present one of those would make for my darling mum. Sweet! Love the jewelry, would love to win. Thanks for ANOTHER awesome giveaway. Love the Vintage Pearl, hope I win! Love the simplicity and the sweetness! Would love a mama necklace to have my newest baby girl added with my boys! This would be perfect as girl #2 is arriving soon! This jewelry is so sweet. Thanks for the chance to win! I have some their jewelry too, love it! This is so cute – I love them! Love them! Such sentimental hewelry. Beautiful. I have always wanted one of these necklaces – beautiful! If I don’t win, I might just have to pick one out myself. Beautiful items! Would looove to win this one! I’ve always wanted one of their necklaces! They have the most beautiful jewelry! Wow, I’ve been eye-ing Vintage Pearl’s lovely jewelry for a long time! Thanks for the fun giveaway! SUCH beautiful jewelry, i would so love to win this prize! Would love to win. My second daughter is scheduled to come on Nov. 27th and this would be a great gift for ME! I have a bracelet from that I already love…but I’ve had my eye on another piece! I would love to win this. I would really really love one of these! I love the Vintage Pearl! We got our dad a keychain for father’s day and he loves it. Merci pour ce jeu!! je joue!! bonne nuit!! Thank you for this game!! I was just looking at these types of necklaces for my mom! Wow! Another giveaway? Thanks so much for holding these! I’ve bought a few necklaces from them before as gifts. They are wonderful! But would love to win one for me. I just had my 3rd child so it’s time to get one myself. I’ve seen Vintage Pearl around for at least a year now, and think their stuff is beautiful! I love the simplicity of it. so lovely! thanks for the great giveaway! Very cute necklaces! Love them!!! I would love a pendant with my kids names! I’ve been eyeing them for a while. I’m been looking at their items for over a year! Would live to win and order from them! I’m a brand new mommy and would love this! Love their necklaces. After seeing yours, I bought one for each of my girls! Now it’s time for a necklace for me! What such beautiful pieces !! Thanks for the chance to win. Will be hard to narrow it down to one piece !! Oh I love their jewelry! I’ve already told the family that I want one of these for Christmas, but I’m pretty sure I’ll have to order it myself to get one! I ordered one for my mom for her birthday this year with all the grandkids names on it and she loved it! I’d love a necklace with my son’s name on it! I would absolutely LOVE to own some of this gorgeous jewelry! Fantastic, I looooove their stuff! Yes, I NEED a necklace with my wee ones names on it! Oh, yay! Their products are beautiful. Thanks for the chance to win! oh, these are so lovely! Such beautiful jewlery, I would LOVE to be the proud owner of a heart necklace! A few years back, a gentleman approached me at the airport as I was about to board a plane with my-then 13 month old. Turned out he worked for Vintage Pearl and he invited me to check out their jewelry. I’ve been a huge fan ever since!! I’ve been saving for one of these! I would love one of these pieces of jewelry. A giveaway would be the best way to try it. Thank you! Would love this!! Sooooo sweet and pretty! What a cute necklace! Their stuff looks awesome! I’ve really been wanting a necklace from here. fingers crossed…. Oooh would love this for me and my daughter! Thanks for doing these great give-aways! I’ve wanted one for years! So cute! And love your yellow tank! I love this shop! Would love to win!! Thanks for the chance! i love their stuff. so sweet. I don’t think I could fit all my children’s names on one necklace, but I would sure like to try! beautiful! I would be thrilled to win! Oh, I’ve been wanting something from there forever. Thanks for the giveaway! Would love to win this one! Thank you thank you! Their jewelry is so cute! I LOVE their jewelry! Absolutely gorgeous. I really love their jewellery! Love these. Bought a necklace for my friend from here, maybe it’s my turn now? I love their necklaces – I’m ready to treat myself to some “mom jewelry”! Thank you! Oh wow! These would make wonderful Christmas presents. Thanks to you, Dana. I want to get my mother-in-law a necklace with her grandkid’s names for Christmas….this would be perfect!! I have drooled over there stuff! This would be one lovely gift certificate to win! Oh, I’ve always wanted one of those! Oh my goodness, I was really wanting to get one for my this year to celebrate my parents 40 year anniversary! A gift certificate would be awesome help. Thanks Dana and Vintage Pearl!!! PS. Hubby got me one for Mother’s Day after your blog post, and I love it! I get so many compliments on my beautiful necklace! Thank you for the chance to win! I love TVP! This would be perfect!!! I need an updated necklace with my 3 month old baby’s name on it. Soo pretty! I’d love to share this name-necklace love with friends who bought me an initial-necklace when my daughter was born :)! Wow perfect timing! I am pregnant with baby #3 right now and would love to get a necklace with all my sweet ones names!! This style of jewelry is my favorite. So simple & sweet. The loveheart one is gorgeous. I’d love to wear one. How beautiful. Just in time for Christmas! love vintage pearl! thanks for the giveaway. I would love to give one of these necklaces to my mom for Christmas, thanks for the chance to win! this is on my list this year. What great gift ideas. Thanks for the chance to win! A Vintage Pearl giveaway?! I’m in! Your babies are so adorable! I really love the small vintage heart necklace from The Vintage Pearl. Actually I love most of the designs! Love the Vintage Pearl! Thank you Dana! The Vintage Pearl has such beautiful necklaces! If I won, it would be quite difficult to decided which one to buy, because they’re all so pretty. I have wanted one of these for such a long time. I love these! Awesome giveaway. Love Lucy’s heart necklace. I love these! Awesome giveaway! Beautiful, simple jewelry! Love it! I love the Vintage Pearl — just bought a necklace for a new mom! Thanks for the giveaway! Baby #2 is on the way & I would LOVE a new necklace with both kiddos names! Lovely! would love to have one with my child’s name on it! Thanks for your fantastic blog. Oh my! How to choose, but I would love the chance. Thank you Dana and Vintage Pearl. I’m holding my breath for this one! Fingers crossed! Thank you, Dana! I adore this! Been wanting one for a long while…Would be AMAZING to win!!!! I just love the Vintage Pearl!! I love their jewelry! Thanks for an awesome giveaway! I’ve been eyeing this shop and I’m pregnant with our third baby, waiting to get a necklace once this baby comes. But love everything in this shop for sure!!! oh i love vintage pearl!! And beautiful kids in the picture! I love the initial necklaces! What lovely keepsake jewelry! Thanks for the chance!! Ohhh I love Vintage Pearl! I would love to win this! Great!!! Thank you so much for your “Give-Thanks-away”! love the simplicity of their jewelry! This would be the perfect gift for my son’s godmother! I would love to get one of these for my mother in law for Christmas with all of the grandsons names on them. such a special piece to have. I would really love this! Beautiful! Thanks for all the give-a-ways! Fingers crossed! So simple & beautiful. I love their stuff! I would so love to win! I absolutely LOVE this jewelry and would be so excited to win! Would love one of those! I love The Vintage Pearl! I really want the pearl cluster earrings. So beautiful! They have very thoughtful gifts! I love their jewelry! I’d love to win!! I have been hinting to my husband forever about a necklace from The Vintage Pearl, but I doubt he will ever do it. Hope to win! This would be awesome for Christmas presents! Wow, these are gorgeous. Perfect for the holidays! Ohhh all of them are beautiful! This is one of my favorite etsy sellers! Great giveaway! I was just thinking of getting one of their necklaces for my mom! Necklace is beautiful! would love one for myself. I love TVP! I’m having another baby so I need to add another charm to my TVP necklace! I have always drooled over their jewelry, but have never purchased any yet. It would be perfect to win! i love these necklaces!!! great giveaway, thanks!!! Love Vintage Pearl necklaces, I’ve already asked for one for Christmas! It would make the perfect gift for a friend of mine! Oooo such pretty things! Crossing my fingers! Yet another great giveaway.. So cute! I would love to get one of these for my mom. This would be a great gift for Grandmas! I love the vintage pearl and would be so happy to have one of their necklaces! I love the Vintage Pearl, and would be so excited to win. Thanks for the chance to win! Please, pretty please, pick me ! What a sweet gift for someone special. I love the vintage pearl. I have one now, but baby #3 is on the way, so i will have to get a new one. Would love the gift card! I love the VIntage Pearl’s necklaces. I haven’t been lucky enough to win one or receive one for Mother’s Day. Maybe this is my lucky day? Thanks! I love these! That would be a nice little Christmas present to me! This would be great for me or as a gift! Gorgeous pieces. Thank you for the chance to win! I love how cheerful all of their products are! I’d love one of these with my kids names … I’ve been putting off buying them until I knew I was done having kids. Thanks for the chance to win one! Yay!! Would love a necklace with my love’s name on it! Sweet stuff! Thanks for the give away opportunity! What beautiful designs! Thanks for pointing them out! would love this! I’m having a baby in the spring and would love something to always remind me of my little one. The necklaces are so pretty! I’d love to have one with my grandchildren’s names. Something I would wear every day. Thanks for the opportunity. Love the necklaces. I love it. A necklace I would actually wear on a daily basis. I have, in the past, sent my husband a link to Vintage Pearl saying “This is what I want”….he hasn’t got the hint yet…I would love one! I love Lucy’s heart necklace. Would love one with my sweethearts names on it! Love your stuff, hoping for Christmas! Thank you for the chance to win this! I love the jewelry! I want and need a Vintage Pearl necklace! I love the vintage pearl… such beautiful jewelery. Yes, I’d love a necklace like that! How lovely! Thank you for sharing. I’ve been “hinting” for one of these for 2 years now!!! I would love one! Especially because I’m turning the big 40 in a couple weeks! It will be a great bday present!! I LOVE VINTAGE PEARL! Such beautiful pieces and love their story! I love these and they would make great gifts! Great giveaway! I love Vintage Pearl. I love these necklaces! This would make a great Christmas gift!! I have always wanted one of these necklaces. I wonder if all 4 of my kids names would fit… Thanks for the giveaway! Love Vintage Pearl!! Thanks Dana! I have admired your necklace ever since you posted about it! I would love one for myself! Great jewelry and great giveaways! These are great! Wow…I am so excited. Love love love … the coordinates of your heart! I have been admiring the Vintage Pearl for so long!!!!!!! You’re right, simple and truly beautiful! 🙂 what a great giveaway!! i love this jewelry. it would make a great christmas gift for my momma! love the giveaways this week. what a great idea to get in the holiday spirit. I would love this! Thanks for all your fantastic giveaways! Vintage Pearl is always so amazing! Dana- love your site! Great giveaway! What a great give away. I would love to win! Would be perfect to add a name for the little b in the oven! Yes please!! Would love, love, LOVE! I love this shop, I love its simplicity and the pretty hand work. Last year I was about buying a pair of cufflinks 4 my husband, but shipping was a little expensive for me. Her jewelry is just so gorgeous! I would love a lovely necklace I could wear everyday. They have beautiful things! Thanks so much!!! Oh, they have such beautiful jewelry! I have been looking into getting a special remembrance necklace. This may be the place. I would love one of these, thanks so much for hosting the giveaway! Love their jewelry! What a great giveaway! I’d love love love a necklace with my babies names on it!! Thank you Dana!!! So simple and so sweet! I really like the pearl bracelet with a charm! cute stuff! what a sweet present for a mom or grandma! Crossing my fingers for a chance to win. Beautiful pieces! Even if I don’t win, I now have a great Christmas present idea for my Mother-in-law! OOOH Pick me Pick Me! Love Vintage Pearl! Now that my family is complete (3 is more than enough) I can get one of these beautiful necklaces (without worrying that someone will be left out!!). i would love one of these! good luck everyone! I’ve been in love with The Vintage Pearl for forever, but have yet to own a piece. This would be a fabulous pre-Christmas gift! My friend loves her sunshine necklace from VP. I’d love to get something for my mom or sister next! I have one of her necklaces and would love a ring! Love the Vintage Pearl! Gorgeous stuff. Definitely would love to win this one! My sister has one of these necklaces with the names of her kids and I’m thinking about getting one, too. So cute! Thanks for the giveaway. Love the jewelry. Been wanting something like this for a while! I love all their stuff! Would love this! I would love to browse their site for some new jewelry! My second daughter was just born…this would be fantastic! I would love to win such a nice price! I want! One of my friends has one with her kids’ names on them and she never takes it off!!! Gorgeous. These would make great gifts. I remember your earlier posts about this company. Beautiful! I would be thrilled to have something like this for my daughter. i’ve been wanting a piece of their jewelery forever! Ooh! I have been wanting to purchase something but with 4 kids, it gets a little expensive. Thanks for the giveaway! With a new baby on the way, I need to update my necklace:) Love TVP! I love the mini pearl cluster earrings. So pretty. I love your necklace. Thanks for the opportunity at these awesome giveaways. Beautiful! Just had a new baby girl! This would be a great way to celebrate her! I love their jewelry. I would love to get my husband some of their cuff links. Love, Love, Love Vintage Pearl!! I put a Vintage Pearl necklace on my Christmas list and a gift card would make it so much more affordable!! THANKS for the opportunity to win a gift card to a store I’ve been wanting to purchase from since your last post on it! I would love a Mommy necklace of my own! Jewelry would make great gifts for the holidays! Very sweet. I don’t wear necklaces much, but now my youngest is 2, I’d like to start again. I love how beautiful and simple it is. I love everything at the Vintage Pearl! I’ve been very pleased when I’ve ordered from them in the past. oh wow! the vintage pearl is awesome. i’ve been eyeing their necklaces for quite some time. what a wonderful giveaway! I love this line, the pic of your 3 on the slide is GORGEOUS! oh my! this is such a wonderful giveaway. i hope i win! love! like everything on their site!! Lovely work! What a great idea. would love to win this one! you have the best give aways! this would a great gift for myself! Love their stuff!! So amazing and personal! 🙂 Thank you!! I have so been wanting one of these! Thanks Dana for hosting the giveaways! What wonderful designs! Thanks for the opportunity to win great jewelry! I love their stuff – so simple, original, and feminine. I love the Vintage Pearl! I have a necklace already with my two boys’ names and had one made for my mom with the names of her five grandchildren. It’s a beautiful gift and they do such a wonderful job. Love these guys! And Lucy’s necklace just melts my heart! I would love to get one for my SIL to commemorate her first baby! This would be a wonderful surprise for her. Love the necklaces – just gorgeous! Oh my goodness I love EVERYTHING soooo much!!! Amazing! Love this style so much! Too cute!!!! Fingers crossed from Italy!! This jewels are beautiful! I would love one of these pieces! I would love to give one of these to my sister-in-law! Would love to have one with my kiddos names! How sweet! 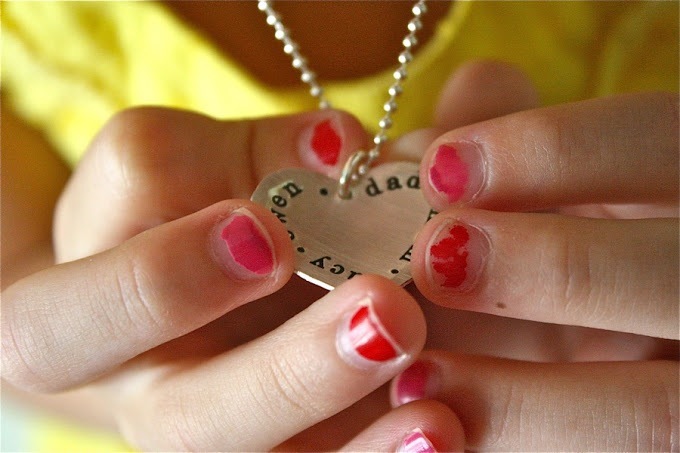 I would get a necklace with my husband’s name and my daughter’s name on it. LOVE! Wow! This would be awesome. I have the ladybug necklace and LOVE it. I would love another one with my kids names. I just told the hubs I wanted something from here for Christmas! Yay! would love to give one of these to the birth mom of the baby we are adopting!! The perfect gift for our 10th anniversary! Oooh, I love all of these! I would love to finally have a mommy necklace! Would love to have something from Vintage Pearl. Ooooh! Yes, please! Thanks for the giveaway! I LOVE the Vintage Pearl. Thanks for the chance. I’ve been wanting to order a necklace from this website I just have a difficult time with decision making – which one should I choose?? 🙂 Thanks. what a wonderful giveaway — I troll their site frequently and just drool! I have a necklace I weare just about everyday and LOVE it. I was just looking at the bracelets for Mom for Chistmas…gift cert would be awesome! I would love this for my mom for Christmas! Ohhh, I LOVE this store! I’ve been waiting until my family is complete to order one. Only a few months to go…this would be lovely to win. oh my! I love the vintage pearl! I have been dying to buy something from their site. These are gorgeous. What to choose! I would love a charm with my kids name on it. Or anything really. I keep trying to drop hints to my husband that I want one of these…and not vague hints either…maybe this would help. pretty sure Miles, Lucy, and Walt would look so cute on one of those charms. Love the vintage pearl! I love The Vintage Pearl. Thanks for the giveaway. How Fun Dana! I have 2 little girls who would LOVE these for the holidays. Enjoy your little people! Would so love to get something inscribed with my little guy’s name! Thanks for all the great giveaways! I have one of their necklaces but would love more from their shop. Love them! i’ve been wanting one of these! so sweet. This would be lovely to have. I love these! Would love to be able to put all of my kids’ names on one necklace. always love this giveaway! thanks! i keep seeing these around and would love one as my first baby is due any day now! Having a baby next month and I’d love to get one with all 3 my kids names on it! Thanks. As a new Mom I would love to win this! I love the vintage pearl necklaces !! I think I would actually take the time to wear a necklace if I had one of these. I’ve wanted one of these for SO long!!! Oh the possibilities! Thank you Dana. What a perfect holiday gift! Would love one of these pretty pieces! So in love with these necklaces and have always wanted one, thanks! I would love to be able to give one of the necklaces as a gift to my daughter. Thanks for the chance to win. Your kids are the cutest. Thanks for the opportunity. I know who I would use this gift for. Oh how I love VP jewelry. My little girl would love a necklace as well. I love their silver snow flake cut out ornament! I have always loved this necklace. I’ve ordered pieces for everyone else from VP, I think it’s my turn!! Fingers crossed! So sweet! What to pick? I would love to win this one! I’ve been wanting one of their necklaces for a while. Fab giveaway! I love the Vintage Pearl! so lovely, thanks for the chance! Lovely, thanks for the chance! Ooooo! I hope I win! I LOVE The Vintage Pearl! Very pretty!! Would make excellent gifts. I love this jewelry SO much! It’s beautiful and simple! Thanks for the giveaway. So nice of you! i gave my friend one of their beautiful pieces as a going away present. love their stuff! Love..love..love your taste. I would love to chose something from Vintage Pearl…so simple and classy! Would love this – have an order planned for after our new baby comes! I’ve been wanting one of these kind of necklaces for a long time! I want one now that we are done having babies. I love the clean look of it. So happy to know about another great jewelry site – would love this for Christmas gifts! I will keep my fingers crossed, they have several items that I’ve had my eye on, just not the funds yet! I would love one! Beautiful! I love The Vintage Pearl!! Beautiful items that would make wonderful gifts!! Simple and sweet. Just lovely. Would give anything for one of these dainty necklaces with my girls’ names on it! I don’t know if I can compete with 892 other comments but I have seen these before on other blogs and they are so simple. I would love to wear my kid’s names so close to me always! Oooh, how lovely! I’d love to win! I remember seeing this on your blog before! Love it. I would seriously love to win! Their stuff is so cute and it would be so much fun to get something fun for myself. I wonder if I could fit all 6 of my kids’ names on one??? Thank you for the opportunity to win such an amazing prize! This is definitely already on my birthday list! fingers crossed. Thank you for the opportunity to participate in winning one of these beautiful pieces of jewelry. Beautiful jewelry…beautiful giveaway. Thanks for the chance to win. Such a special idea. Who wouldn’t want one? Thanks for a chance to win some of her pretty jewelry. Oh, I’ve loved these necklaces forever! If I don’t win, I’ll have to put it on my Christmas list! I adore the Vintage Pearl. Thanks for the chance! giving is so generous. thank you. I have always wanted to order something from them! I would love to win a gift card here. I have bought a necklace from them before and love it. Just beautiful 🙂 Thanks for the giveaway! These are lovely! So cute! I would love to have one of their necklace, so pretty! I adore their beautiful jewelry! Awesome giveaway, Dana! I love the vintage pearl. I’ve ordered several things from them and have loved each piece. Awesome giveaway! I love the vintage pearl! I would also love to get my daughter a necklace like Lucy’s! Great giveaway! Would make a perfect Christmas gift for my mother-in-law! I love their jewelry. I’d choose something for my daughter for her 10th! birthday. Fingers crossed… maybe I get lucky! Would love this! Thanks, Dana and TVP! I would *love* to have one of these necklaces with my little sweeties names on it! I have been wanting one of these for a while now and hope to get one for Christmas if I don’t win. Thank you for the competition. Great giveaway!! I would love to order some Christmas gifts from the Vintage Pearl! OMG these are so beautiful & such great gift ideas. I hope I win!! I love the Vintage Pearl! Thanks for the chance! Great giveaway, they have such beautiful stuff! I would LOVE this…great pieces! lovely..thanks for hosting my dear dana. This would be super fun to win! Thanks!! Thanks for the chance to win more swag! Great Christmas gift ideas or maybe something for me when our little one arrives in March! Would love to win one. I love their jewelry. Thank you!! Always swooning over their website. Hoping I win! Every mother deserves one of these! I’d love one. Just in time for Christmas… for ME!!! Great giveaway! LOVE LOVE their jewellery! Oh, how I love The Vintage Pearl! Thanks Dana and Vintage Pearl! LOVE this jewellery! So gorgeous! I’d find it so hard to choose the perfect combination! I would love a beautiful piece of jewelry with my kids names. Really nice jewelry. It would be difficult to choose! Fab giveaway – if I won I’d use it to buy something for my mom. A beautiful woman who never treats herself! 1000 comments!!! Wow! But the commemorative jewellery is just what I was thinking about the last few days, for a mama who didn’t get to meet her little girl in this lifetime. Something to wear every day, to keep baby Charlie close. oh, i love it! what a nice giveaway! these are gorgeous – would love to win! Amazing give away! Would love to wear my kids close to my heart! I *love* their designs so thanks for the chance to win! I have always loved these for myself, but I would really love to get something for my husband. I was very excited to see the cuff links. So pretty… Thanks for the chance to win one ! I would love to give one of the neclaces to my SIL as a gift for her birthday. How cute are they!!!! It would be nice to have one of those with the name of my 3 years old daughter and the baby girl I’m expecting in 1 month…. I hope everything goes well… Regards from Barcelona. Yay! I just ordered charms for my mom! ooohhhh….. my fingers, toes, arms, knees, eyes, and everything are crossed!!! I love their stuff! Thanks for the chance to win! Beautiful modern version of the medaillon to keep your loved ones close. Love it. That necklace is just my style, I’ll have to go right over and check out the shop, thanks! I love that site! Such pretty things. Thanks for the chance to win! They are so pretty – just my style! I love these necklaces!! I’ve wanted one for so long! LOVE LOVE LOVE THESE!! Would be amazing to win! yeah! love vintage pearl 🙂 thanks for the chance! I would love one for myself…but would also make a perfect Christmas gift! LOVE! Thank you for a great giveaway! Wow! They really do have some beautiful things! Thanks for the opportunity to win a gift card. Oh me, me, me, me!!! I love their jewelry! this would make a wonderful gift for my mother-in-law you lives so far away from her granddaughter. I would love a necklace with my girl’s names!! Everything they make is so beautiful. What a lovely give-a-way! All I can say is LOVE. What a great store. What a great give-a-way right before the holidays! As the birth of my 2nd child approaches (and probably my last!) 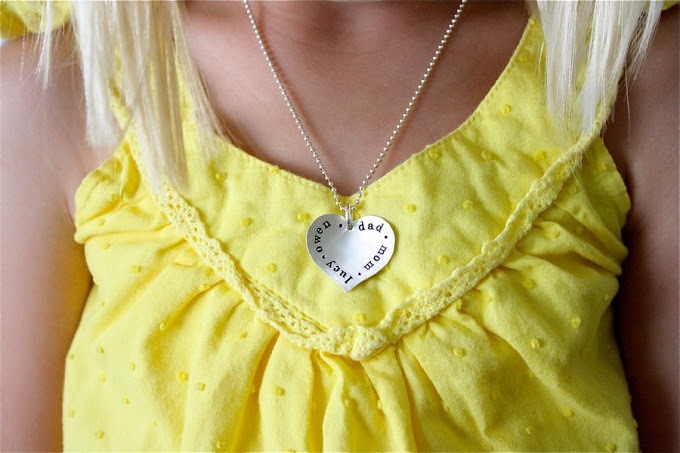 I would love to get this necklace with my wee one’s names on it! THANKS! want! want! want! so beautiful! I’ve been wanting one of these necklaces for awhile now. I love so many of them and I’ve been hinting to my hubbie it would be a great X-mas gift! Thanks for the giveaway, would love to add my new son’s name to a necklace! Thank you for these giveaways dana !! I love these jewels !! I’ve still not gotten anything from Vintage Pearl but LOVE it and have been meaning to! awesome. these are so timeless. thanks for making the giveaways so yummy! These would make a great Christmas gift! So adorable! Thanks for the chance to win! Beautiful and simple. Love it! These necklaces are so beautiful!! I would love one for myself and to give one to my BFF for her birthday. Love love love The Vintage Pearl!! Thanks for the chance to win a wonderful piece of jewelry. I would LOVE this!!! The Vintage Pearl has such cute stuff!! Your site is always so fun and inspiring to look at. I would love to win this. I cherish the Vintage Pearl necklace I have – would love another special piece to wear! I <3 the Vintage Pearl 🙂 Everything they make is so sweet and simple…crossing my fingers! Thanks to everyone making the giveaway happen. Thank you for such lovely giveaways! I love the simple look of Vintage Pearl! I’m about to give birth on Friday to my second, a baby girl. Would LOVE to have this to commemorate! They have such lovely jewelry, thanks! Love, love, love this…thanks for drawing. Darling stuff! I’ve been wanting to get myself a necklace for a while now. Thanks for sharing with us. Yumm, I love these beautiful pieces of art! Thanks. I have been wanting one of these since my daughter was born! I’ve always wanted a vintage pearl necklace! How honored I would be to win! I didn’t win your last vintage pearl giveaway. Maybe I’ll be luckier this time! Thanks! Love their jewelry! Thank you for hosting the giveaway, Dana. I’ve been looking for the perfect thing to give my little girl when I marry her dad and adopt her. This just may be it! OH so beautiful! Love the picture of the kids too! Ah! Another Vintage Pearl give-away! I’ve always admired yours. Given the opportunity, I have to throw my number into the hat again! 🙂 Thanks, Dana. Cute! I would love a necklace with my kid’s names on it. Oh my – I love the heart shaped necklaces – beautiful! …and hard to keep up with! This site has so many beautiful items! We are expecting our first (a boy) in February, and I would love to have a necklace with his name on it. Thanks for the wonderful giveaway. I was planning on buying my daughters vintage pearl necklaces for Christmas that coordinate with mine. Each girl would have their initial with the matching shape to my necklace. To me this symbolizes my love for them and how our hearts are forever connected. I love the vintage pearl. Thanks for the giveaway! Beautiful and sentimental jewelry! Love it. There are so many comments. There is not way mine is going to be picked. I have loved these type of necklaces ever since I first saw them. Thanks for the chance to win. Oh! I have been wanting one of these necklaces for a long time! My daughter would also love one. I guess we’ll arm wrestle for it! Love, Love, Love the jewelry! It would make great Christmas present! I’ve never seen these before! they’d be so perfect with my mother’s grandkids’ names on them for Christmas! I would love a new Vintage Pearl Necklace! Would LOVE something from the vintage pearl. Thank you!!!! i love their sweet necklaces! Their jewelry is so beautiful! thanks for the chance! These are so sweet….My mom would love one! As we’re having our last baby here in January, I’d love to win it just in time to celebrate our littles. Have always loved their stuff! Love the Vintage Pearl! Thank you for sharing. I would love to win this. I love their stuff! I Love love the necklace you have! The Vintage Pearl has the prettiest stuff! I love the simple, clean look of their jewelry. cute jewelry.. love it! 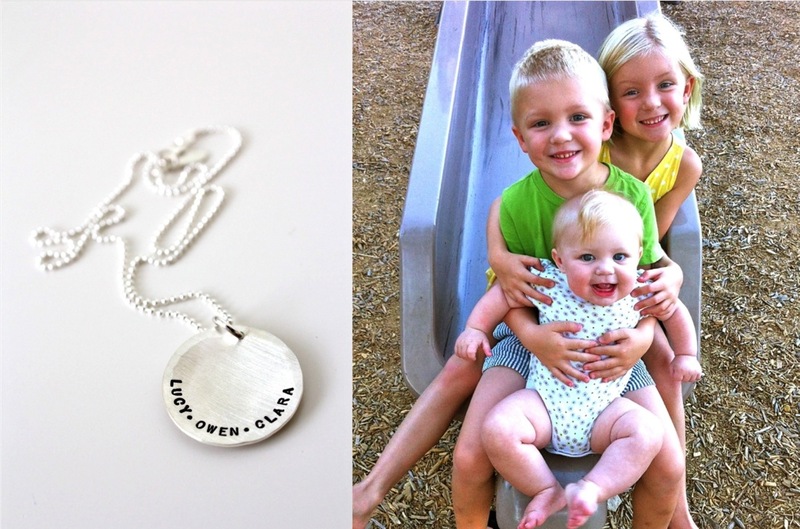 Would love to put all 5 of my kiddos names on a necklace somehow… thanks! I LOVE the Vintage Pearl!! Thank you so much for the giveaway! I so need a new necklace so I can have #3’s name on it! What a precious picture of all of the kids on the slide! Thank you for this giveaway! just gave birth to sweetie #2….would love to have one of these!!! Beautiful and subtle jewelry. I love it. I have a Vintage Pearl necklace on my Christmas list. Thank you for the opportunity to win! Love it! I also love that you make entering these giveaways so easy! Thanks! Oh my! I love the Vintage Pearl! Thanks for the great giveaway! I love these. It’s on my Christmas list too hah! I need to update mine as I had a baby a few months back. I love their simplicity. LOVE Vintage Pearl – I finally bought the Chunky Sunshine necklace I had first seen on your blog! LOVE. IT. Would LOVE to win $ towards more FUN Vintage Pearl stuff!! Love it – thanks for the giveaway! I’ve been wanting one of these forever. I could wrap it up and tell my husband that he already got me my christmas present. Perfect gift for any mom – thanks for the opportunity!!! Loving all the giveways…these are so pretty!! I love The Vintage Pearl. I can’t wait to get a new necklace once we name this new baby! Thanks for the chance to win! Very beautiful jewelry, thanks for this wonderful giveaway. I’ve been wanting something from them for so long! I love the simplicity of these necklaces. Beautiful pieces!! Would love one for me and one to give away!! Great giveaway. I would love to win this sweet necklace. I LOVE this style jewelry. I have a name necklace for my daughters and wear it most days. The necklace is gorgeous. Thank you for the chance to win this. I’m considering ordering a necklace for each of my cousins for Christmas. They are both amazing mothers and deserve something just this sweet. Love all things at The Vintage Pearl. It would be lovely to have something to remind me of my boys. Expecting our first in February and would love a new necklace to show off her name. The necklaces are too cute! i want one = thanks! Love The Vintage Pearl. I’d love to have one of their pieces. I adore these necklaces and just had a new baby. I need one with the update! Thanks. Really want to get a necklace for my mother-in-law for Christmas with our kiddos names on it. She would love it so much. I would love to get one as well but Mom would be over the moon. She is so proud of her first grandbabies. This jewelry is awesome! Thanks for the chance to win. Love this jewelry! Simple and classy. I love vintage pearl, Id love a necklace!!! Oh, so pretty! I have a gorgeous daughter-in-law who would love this for xmas! All of her stuff is beautiful! Thanks for this giveaway! I’d love to give this to my 82 year old mom. She’s in a huge funk these days. Thanks for posting this. I’m going to check them out and try to cheer her up. Wow, loving the give aways! This would make a perfect gift for my daughter! I love the vintage pearl!!! Oh my! this is a GREAT giveaway! The Vintage Pearl has such beautiful items. Would love to buy for myself or another! Thank you, Dana and VP! OOooo…LIKE! Have been looking for something similar for a while now…. How lovely! I love their jewelry, thanks! This is just gorgeous jewellery… totally up my alley! how fun! I would love to win this! thanks! so sweet that you got one for Lucy! Yesterday I celebrated my son’s 3rd birthday and have a 1.5 year old too! I would love to honor them and me as Amon, by wearing one of these adorable necklaces! Thank you! I have admired Vintage Pearl for a long time but have never purchased anything. Everything looks so gorgeous it would be hard to choose!!! I love this store! Thanks for the giveaway! I love The Vintage Pearl! Such beautiful stuff! Love love love The Vintage Pearl! What a great Thanksgiving… giveaway! Would looooove this!!! Thanks for the chance to win. I always love TVP stuff. What a great giveaway! I’ve always wanted one of these. What a great Christmas gift this would make! Love everthing from the vintage pearl!! Great giveaway! I really need that! How proud I’d be to wear such a lovely heirloom. I remember last time you had a give-a-way from them. The jewelry is gorgeous. Thanks for a chance to win! i know exactly which one i would get if i win!! Pick me, pretty please! Thanks! We need these! For all us girls. I freaking love the vintage pearl. hope I win! Love Vintage Pearl- everything is just gorgeous! Love!– – expecting my second, would love to have a new necklace with his and his sister’s names! Love their stuff! I just had my 4th baby (my own little Owen, actually!) and would love a necklace with all of my babies names on it! So sweet and simple! I love their jewelry. So simple, yet elegant and beautiful! me, me, me, I’d LOVE to win this one! I love their things! Thanks for the giveaways! To father christmas, I’ve been a good girl so please let me win a necklace from the vintage pearl!! Ooh, would so love to win this one. We are expecting baby #2 any day now and it would be so sweet to have my little boys’ names on a necklace! I love these necklaces! Great give-away. Thanks! I would so love to have one of these super cute necklaces! Thank you! I’ve been wanting a necklace with my girls names on it. Love Vintage Pearl! Love the jewelry, simple yet very beautiful. How lovely! I’ve been wanting something like this for a while. Love it 🙂 Sadly, I never win anything, but I’ll keep trying! I have wanted something like this ever since my girls were born! This would be the perfect gift! I so want one of these necklaces! Beautiful jewelry! Thanks for these giveaways! Yes, this would be a perfect gift – for my sister. Thank you! OOOH! Please pick me!!! Thanks for the giveaway! I have been drooling over her necklaces! I adore the Vintage Pearl!! I would love to get myself a little gift for Christmas!! It would be pretty hard to decide, everything looks great. I would absolutely love one of these necklaces! Everytime I’ve gone to their etsy shop I tell myself I need one of these with my kids names, but then for whatever reason I end up not getting anything. I would love to win one of these beautiful pieces. I love her work. So beautiful. The Vintage Pearl is the best! Wow! I love all things pearl! really lovely. I’ve always wanted to do something with my girls names on it. I’ve been wanting a necklace for so long! I have been eyeing these necklaces for so long now. I would love to win one! I would love a necklace with the names of my three kiddos on it! These giveaways are the bomb! I hope you pick ME! These are so beautiful!!! Would love to add one to my collection. Love Vintage Pearl, they have the cutest jewelry! Gorgeous!! Thanks for the giveaway, you are the best! What a great giveaway! I’ve liked The Vintage Pearl for a long time and would love to win! How sweet; I would love to wear my children close to my heart! Love the Vintage Pearl — thanks for the giveaway! I hhave been wanting one of these for so long. PICK ME!! What a fun giveaway! I love their products- so classic and beautiful! i have always loved their products and entered many a giveaway for them, but never won. here’s hoping! these necklaces are so lovely! Love The Vintage Pearl! Thanks for the chance to win! oh my! I love the Vintage Pearl! So sweet. Thanks for a chance to win. I love these. I want one so bad! Thanks for this great giveaway! I would love to get one of these. I’ve wanted a TVP piece for a long time! Sooooo great! I’d love to win! Simple, unique and beautiful all in a small package!!!! Lovely! This would be awesome to win! Love the vintage pearl! I need to get an updated necklace now that I’m expecting baby #3! I would love to win one of these, what a precious thing! I would love to have one before I leave on my mission!! Thanks, Dana! So pretty! I would love to win. I’ve been wanting one of these FOREvER! I’ve wanted one for a while, but couldn’t shell out the cash- gotta win it! I have something in my cart for the Vintage Pearl, I am just waiting to figure out if our next baby is a boy or a girl, so I can finalize the new name on the order. I would love to win! 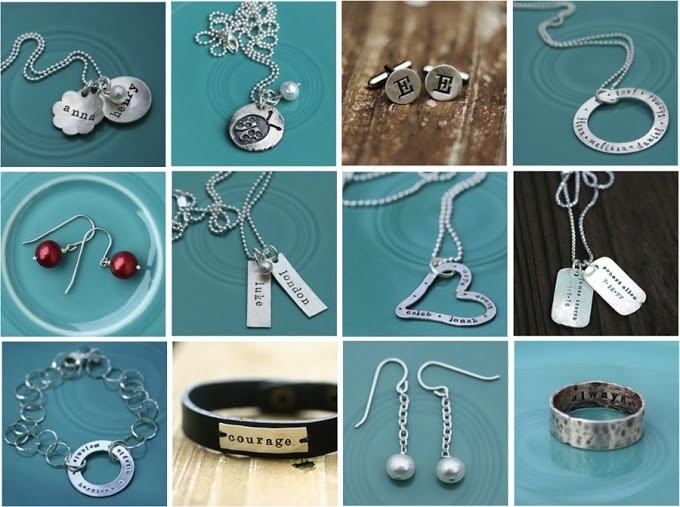 I LOVE personalized jewelry… Thanks for the chance to win on your site. I’m expecting my second child and it would be so fun to have one of these both of my babies’ names on it! I love this!! Thanks for the chance!! what a great way to keep your loved ones near your heart! Thanks so much! I would love to have any one of them!! Awww, I’ve wanted one of these for so long!! they have such beautiful and simple designs. So much cute jewelry! I would love to win. Thank you for doing these fun giveaways! Their jewelry is so simple and beautiful. I love it all! Love Lucy’s necklace. What a great gift for a little girl! Thank you Dana and The Vintage Pearl for the opportunity. I love handmade things. Thanks for thinking of us out here! I love handmade things. Thanks for thinking of us out here in cyberspace. Sorry for the duplicate reply. I accidentally hit submit twice. drats. I’d love to win. Thanks for the opportunity! I want one! I stumbled on their website last week!!! oh how I’d love to win this! I’ve admired them before!! so much fun! thanks for all the giveaways! one of these necklaces would make a great little gift for my friend who just had twins. What a fun giveaway! I would LOVE a necklace with my kids names on it!! I hope I win! Thanks for the chance. My daughter’s birthday is tomorrow and I would love to win so I could spoil her. thanks for doing so many great giveaways!!! Holy cow, I cannot keep up with these giveaways! The jewelry is beautiful. Oooh! I am so glad you posted the details of your necklace! I’ve been trying to tell which necklace you chose from their shop! And how wonderful for a chance to win a gift certificate that could be used towards one! Thank you! I just love this shop. Thanks for the chance! I LOVE the vintage pearl! Thanks for the great giveaway, Dana! Love the Vintage Pearl! I’d love to pick something out! Was just looking at these today on etsy. Pick me! I’m late to the party, but I’ll give it a go anyway! I had a necklace made when I had only TWO kids, but now that I have three, I need a new one! I’ve been wanting something like this since I found out I’m expecting for a second time. Fingers crossed I win! Thanks for introducing The Vintage Pearl! The accessories look lovely! Will certainly check out what’s in store! Beautiful jewelry! I love this shop! That’s so great I love the aesthetic appeal! The jewelry is all so beautiful. I would love to win. Love their jewelry! Thanks for the giveaway! Have always loved this shop! Thanks for the chance to win! Love these! Another awesome giveaway! Beautiful. Would probably get something as a gift and for myself! Love your blog and love how you love your kiddos. SO cute! love their jewelry! I love that they now carry gold! 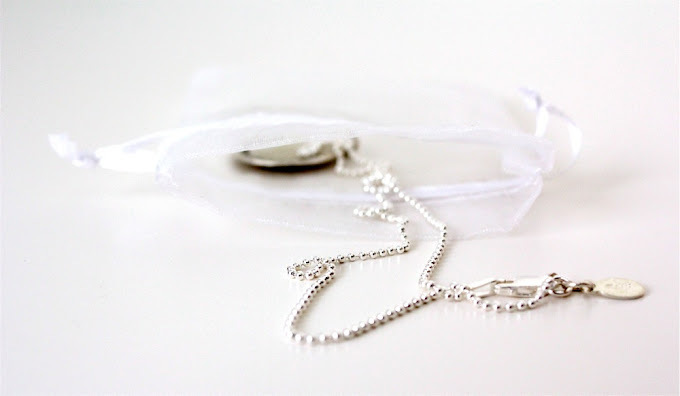 I really really want one of these necklaces… they are so sweet! love the simplicity of these pieces! Their jewelry is SO pretty! What beautiful jewelry. Would love some money to spend here, thanks for the chance. They have so much great stuff! Thanks for the chance to win! I was thinking about this shop recently. I can’t remember why. But it sure wouldn’t hurt my feelings to win something from there. Woudl love to give this to a friend who is expecting her #4 on 12/3. I want this so bad, but if I don’t win I think they’re going to be getting some of my own money anyway. These are all adorable! The picture of the kids on the slide is oh so cute! I want this so badddddd!!!!! Oh, Super! I love love love Vintage Pearl! I’ve always been drawn to typefaces–on jewelry, clothes, walls, you-name-it. Would love to have one of these beautiful pieces. Love VP…we got my mom the Mother of Pearl necklace with two discs and the pearl, it has all her kids, in laws and grandkids on the two discs (well, minus the newborn!) Would love to have one with my four kiddos names on it!! I bought Mother’s Day gifts from them last year and they are so beautiful.